The six point release for the 2.0 series, Darktable 2.0.6, was announced one day ago with various bug-fixes and some new cameras support. 2. Then you’re able to upgrade from a previous release via Software Updater utility. 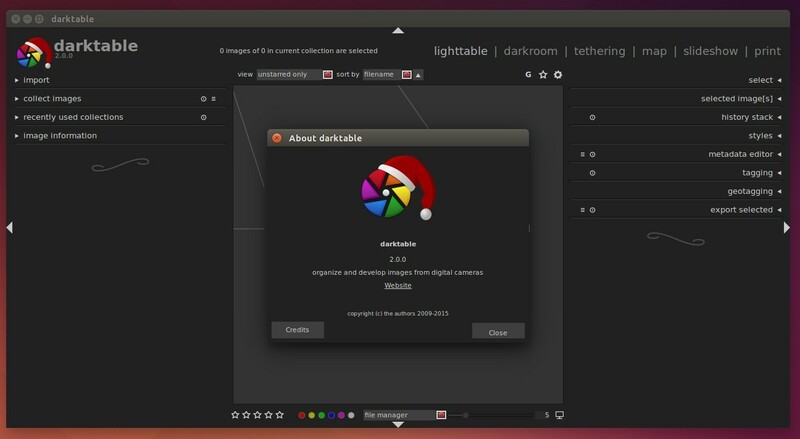 The Darktable Team finally announced the release of Darktable 2.0 today on Christmas Eve. 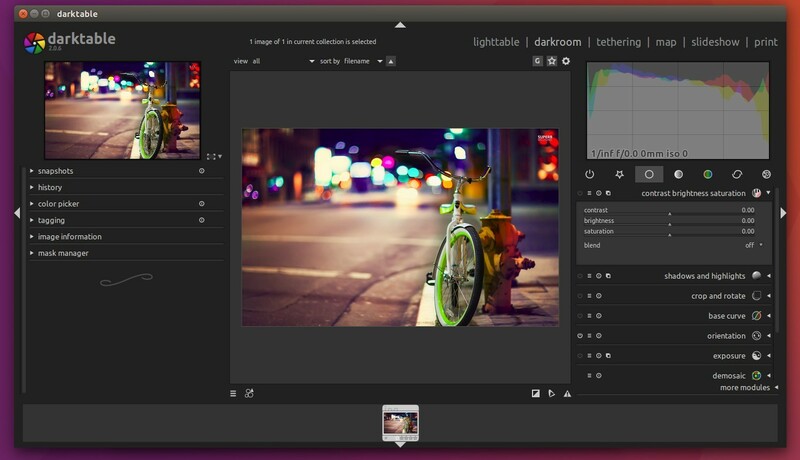 Darktable 2.0 has been ported to GTK+ 3. 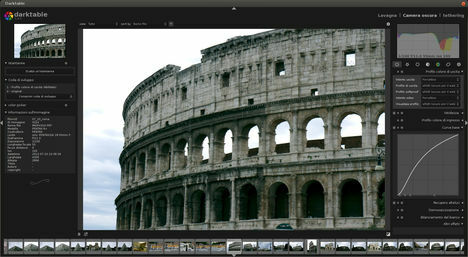 It features a new print mode, PDF exporting support, better HiDPI support, a new thumbnail cache, new image operations, new camera support, UI and scripting enhancements, and much more. The new release has been made into universe (proposed) repository for Ubuntu 16.04 LTS, so it can be installed directly from Software Center. At the moment, Darktable 2.0 is only available in the UNSTABLE PPA though the source is really the stable 2.0 tar.gz(I’ve checked the SHA256 checksums). Type in your password (no visual feedback just type in mind) when it asks, and hit Enter to continue. 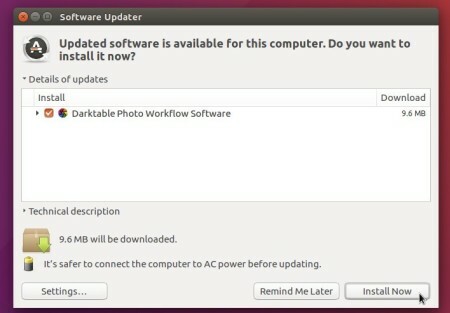 Darktable 1.4.1 has been released recently. 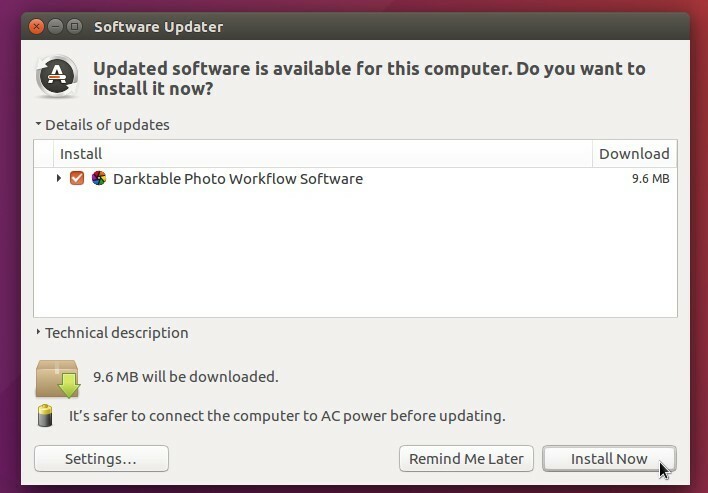 This tutorial will show you what’s new and how to install or upgrade to the latest darktable release in Ubuntu or Linux Mint. grain plugin now allows smaller coarseness and will display coarseness values half of what they used to be, this is merely a cosmetic change, your images are unaffected. still no Nikon D5300/D3300 support, we’re still looking into that. For Ubuntu and its derivatives users, the most recent build of darktable is always available in its official PPA.